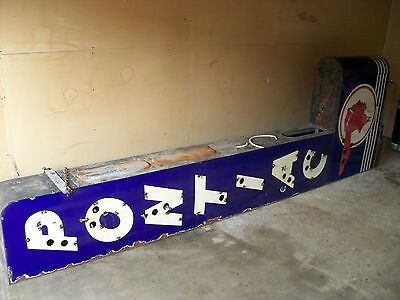 The Pontiac “L” Shaped Porcelain Sign is 47″ wide and 12′ tall. This massive neon is blue with white lettering. The letters run from top to bottom, and the red Indian is located at the bottom.